Top Hallyu stars Bae Yong-joon and Choi Ji-woo will be reuniting as co-stars in the final scene for Japanese animation “Winter Sonata~ Another Story~”, according to a press release by Bae’s agency KEYEAST. 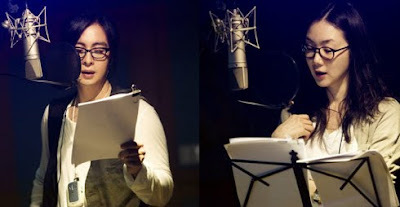 KEYEAST explained that the two actors -- who provided voice-overs for their famous fictional characters in “Another Story~”-- are set to make an actual appearance in the ending scene for the animated version of their hit TV series “Winter Sonata”. “Another Story~” was created with a newly-structured story with many of the cast members from the original TV show lending their voices for the anime characters. The promotional event for the series made headlines last September when some 50,000 fans showed up at Tokyo Dome to see Bae, Choi and other supporting cast members. “Another Story” currently airs in Japan every Saturday on three channels -- Ch.750 (DATV), Ch. 190 and Ch. 800 (SKY PerfecTV!). The final episode is schedule to air on April 24.